"These refugees have no home, no team, no flag, no national anthem," International Olympic Committee president Thomas Bach said when he announced the selected athletes last month." Rio Summer Olympics 2016 has already faced enough flak and controversies – The country’s political instability, the fact that Brazil’s government is on the verge of collapsing; Rio sure found itself amidst a lot of problems. 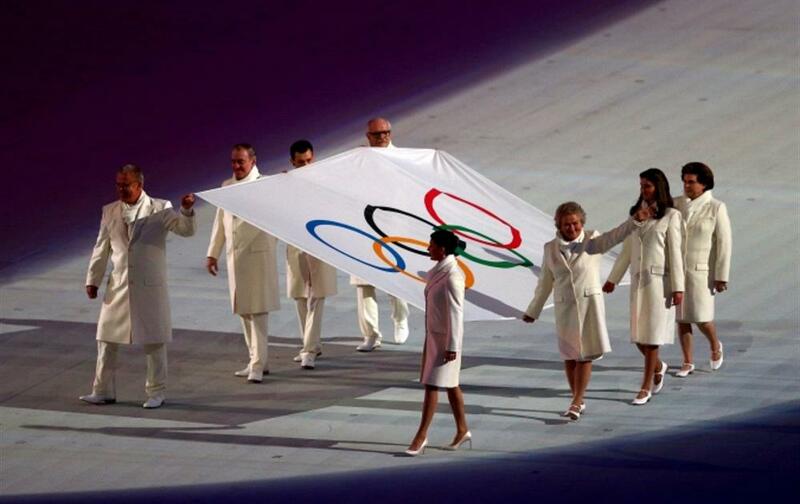 However, this year’s Olympics have something that has quite possibly made history. Why? Well, The International Olympic Committee (IOC) has handpicked a team of refugees giving them an opportunity to participate in the Rio Olympics 2016. 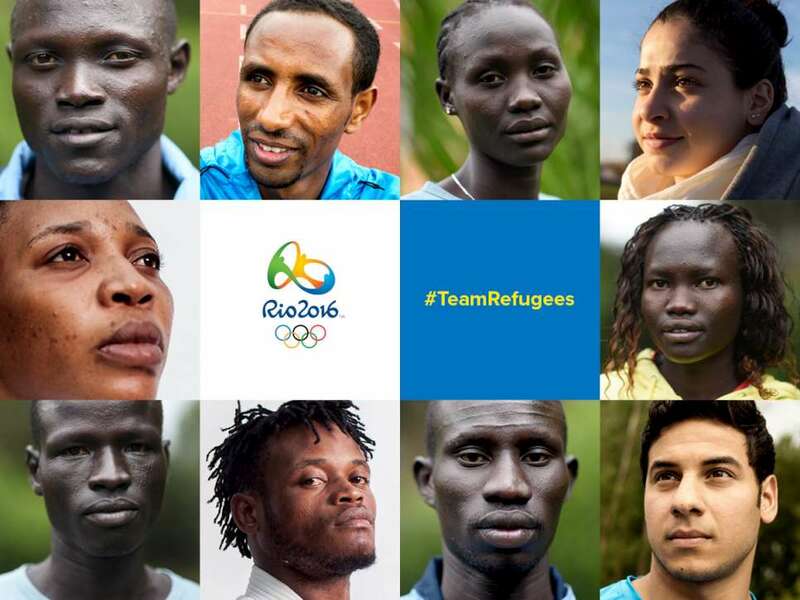 The Refugee Olympic Team (ROT) as it is called includes five athletes from South Sudan, two from Syria, two from Democratic Republic of Congo and one from Ethiopia. The team will compete under the Olympic flag according to the decision of the International Olympic Committee to highlight the plight of asylum seekers around the world. In March, International Olympic Committee President Thomas Bach announced he would select refugee athletes to compete as a team for the first time at the Rio Games amid a worldwide refugee and migrant crisis. 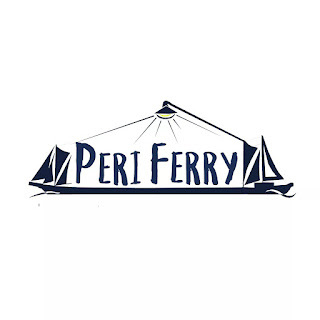 The team comprises of six men and four women, who will compete in the sports of swimming, judo and athletics. Along with Yusra Mardini and Rami Anis from Syria, both swimmers; runners Yiech Pur Biel, Paulo Amotun Lokoro, Anjelina Nadai Lohalith, James Nyang Chiengjiek, and Rose Nathike Lokonyen (also the flag bearer), all originally from South Sudan; judokas Yolande Bukasa Mabika and Popole Misenga, originally from the DRC; and Yonas Kinde, a runner originally from Ethiopia. 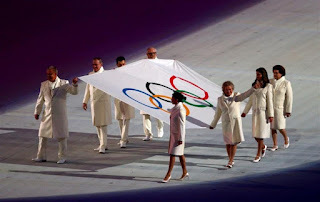 This year's Olympics also houses a team from Kosovo (still a part of Serbia) making its official debut with eight members after the IOC recognized its bid for its independent status and a team from Taiwan (also known as Chinese Taipei) is bringing in 59 members. On August 6th, 2016, Yusra Mardini - a member of the ROT won her heat in the 100-meter butterfly at the games. An admirable feat although she did not make it through the semifinals, she will be competing in the women's freestyle on Wednesday. But what needs to be addressed is that how potentially problematic bringing in a refugee team is, because although the refugee Olympic team represents the 65.5 million refugees and migrants around the world, it also quite sadly represents the failure of the international community by giving this long-term refugees a semi permanent status of the same name instead of solving the refugee crisis. Sure, a refugee Olympic Team is a step forward, but at the same time a step backward because the international community has tagged this team as a special refugee team – questioning if this will become an annual phenomena instead of helping these long-term refugees go home. What the Olympic team ultimately represents is not the discipline, and courage but the millions of people for whom the term refugee is now an unfailing term. Maybe the point of a ROT is to inspire more government officials/ politicians to let these refugees in their countries by showing these refugees’ talents and in a way showcasing what a credit having these refugees in their country is – the problem with this is that it’s a talent show game happening here. Is this ROT a business tactic to show what these refugees are worth so that the international community will let more refugees in? Or is it a ploy to distract from the ongoing controversies in Rio? A ploy to gain sympathies from the international community and subtly distract them from the seeming dance of a political samba in Brazil? The Refugee participants were already practicing advanced level ‘games’ before being selected – Yusra escaped Syria by swimming across the Aegan Sea with her sister. The South Sudanese runners talk of childhoods seared by violence. Their athletic skills became their survival ticket for them. But one can only hope that this media attention that the ROT is receiving is not just some short lived attention forgotten in all the current events compilation of the year -fading away in time but will hopefully prompt the world leaders in taking in more refugees and sharing world responsibility – making the very essence of the creation of this Olympic Team a success for refugees around the world.